Watch these edited excerpts of our Story Suite conversation with Laura Stowell (previously with Fulton County Schools), the newly-named Director of Charter Schools, School Governance and Flexibility, DeKalb County School System, in the Atlanta region. Laura: I think it is a more intense experience for charter schools now. Before, “Oh, they have the school uniforms. They must be a charter school.” And now, we’re seeing—and it’s good because I think it’s increasing the diversity of offerings across the county and across the State of Georgia—that there’s no longer charter[s] in name only. They really need to be serious about thinking, “What do these students need?” And fine-tuning the curriculum and the instruction, and the school culture, and the leadership, and the financing to what those students need. So I’m seeing a refinement of charters. Maybe not as many [charters], but the ones that I see are better and that’s what we want. We don’t need every school to be a charter school. We need every school to be a good school. And if charters opened up that avenue so that the traditional school down the street can use those same practices and innovations to improve education for every child, be they in a charter or not, we have succeeded. 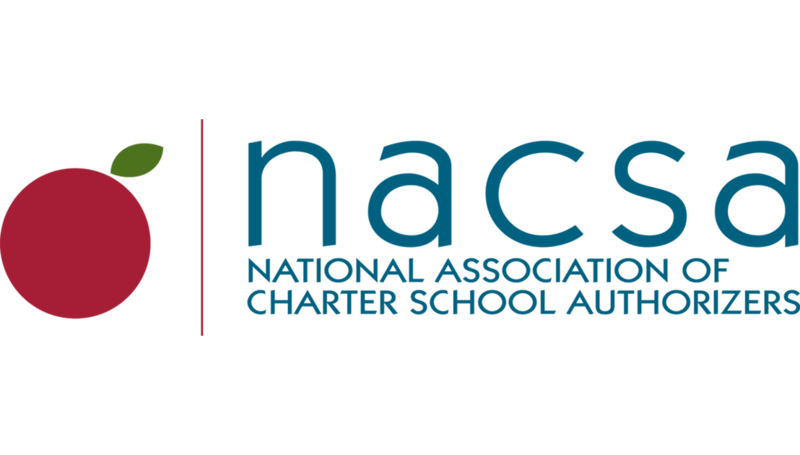 NACSA: Do you find that this is a part of your job: helping the people outside of your immediate sector understand that these are some of the benefits of charters, that what charters are learning can be applied in other structural settings? Laura: Yes. And I’m blessed in that my district [Laura’s former district, Fulton County Schools] has been chartering forever, since 1999. So, they’re very open and comfortable with charters. As a matter of fact, as I was sitting in the hallway to come in here tonight, I was arranging the traditional school visits to the charter schools. So I said, “Here’s what the charter schools do that’s different.” I sent it out to all 90 principals and department heads and said, “Who wants to come see?” So we do fall and spring walkabouts so they can see those innovations, see, “Will that work in my school?” And take it back or, “Oh, that’s a huge mistake. I would never want to do that.” It’s learning both ways. I think my district’s a little “weird” in that it is that intentional about using charters as engines of innovation. But I’m seeing it spread, I really am, across, maybe not Georgia, because so many of our school districts—with 183 of them—are rural and so small, they’ll never have a charter school. They only have 400 kids in the entire school district. But in the [Atlanta] metro area, there’s a lot of conversation and interaction going back and forth now between the traditional school and the charter school. NACSA: Boy, if you could take that show on the road, there are so many districts around the country where that conversation is not happening. Laura: I know. And so, we’re trying to intentionally document what we’re doing. So if anybody else wants to follow this, give us a yell. But it requires a district to not be frightened. You have to not see the schools you authorize as competitors. It’s your intentional selection of a niche—of a different approach that might be useful. And [charters] can’t be frightened of saying, “This is wrong. We did this really badly.” But neither can my traditional schools. If they want to cover up and say, “Oh, no, we’re perfect”—no. I know better. Everything needs to be data driven and focused. So that’s what we’re seeing. We now have 90 schools who have implemented school governance councils, which are akin to governing boards—not quite as much authority, because this district still hires and fires all the employees, but those school governance [councils] set the strategic plans. They approve the budgets. They set the school culture. They do a lot of almost like ‘charter light’ activities. Schools in our district actually are in official MOU partnerships with our charter schools to say, “Let’s explore this; let’s learn about that together.” They’re going at it from different perspectives. It’s really very, very exciting. Laura: I think one of the—one of the most impactful stories that I saw was a young girl, in a K through 8th school. [The family] had moved to Fulton County. The parents had an automatic [attitude of] “The charter school must be good,” whether that’s true or not, that’s what [many parents] always think. So…they placed this child in the charter school. They had been homeschooling her before. They sent out a team that quietly observed [the child] and they said, “There’s something really, seriously wrong.” The more we peeled back this onion—the parents had always known there was something wrong with the child. But [they] were frightened, so they homeschooled her, which just made it worse. Sure enough, the poor little thing had a terrible learning disability that had gone completely undiagnosed, and the parents were so frightened of “traditional schools” that they had refused to send her and it just made the problem worse. But when she got into this environment where the parents felt empowered, they didn’t feel frightened, and they were finally able to open that up. It took about three years of hard work on the part of this young kid because she was severely behind. The charter school had to work very, very closely with the district, and the district had to give a lot of support to the charter school. But we knew we couldn’t move her out. We could not move this child out because the parents were so terrified. Everybody came together to work for what was best for this little girl. So when it came time for 8th grade matriculation and she walked across the stage, the entire school stood up to applaud. It was like, “Oh, god, that’s it.” So it’s that kind of support, professional awareness, cooperation. I know that happens in traditional schools as well; I know it does—there are wonderful schools. But when you can see that happen in this environment that’s such an artificial construct as a charter, then you know, that’s what it’s all about. It was really cool. NACSA: Talk about changing the trajectory of this child’s life completely. Laura: Without a doubt. And it wasn’t just the charter. It was the charter, working with the district, working with the parents—all three legs of that stool came together for this little girl, and she blossomed! It can happen at any school, but there’s something about that nurturing environment, when a community really owns its school and the parents really see, “I can choose this for my kid” and that comfort level that they can bring that can make all the difference. NACSA: Well, and the fact that these parents even came forward. They came to the table because they felt like because it simply was called a charter school, it wasn’t so scary for them to conceive of being part of that community. Laura: And because we had good authorizing practices that made sure it was a good charter school! What would have happened if she had come into a less-than-quality school experience? It would have just been devastating.